Since there is no group photo of the collaboration is here a few photos from social events. 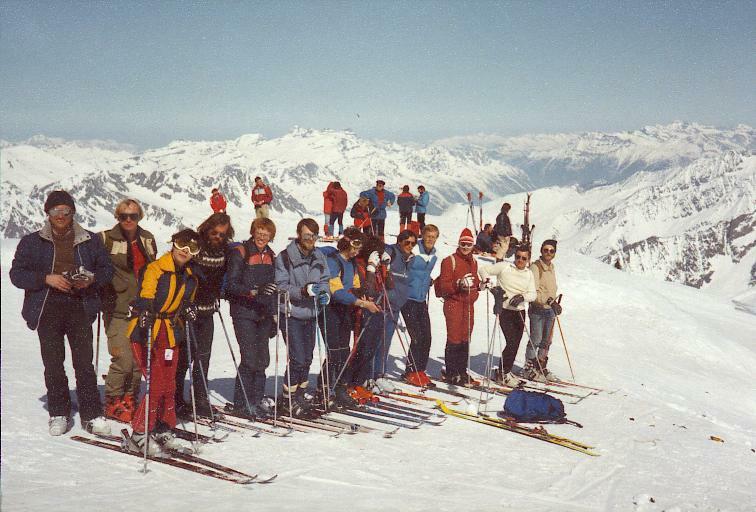 This photo was taken on a ski excursion to Valle Blanche. No injuries were reported. 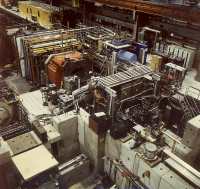 The collaboration could also create two teams for the yearly CERN relay. 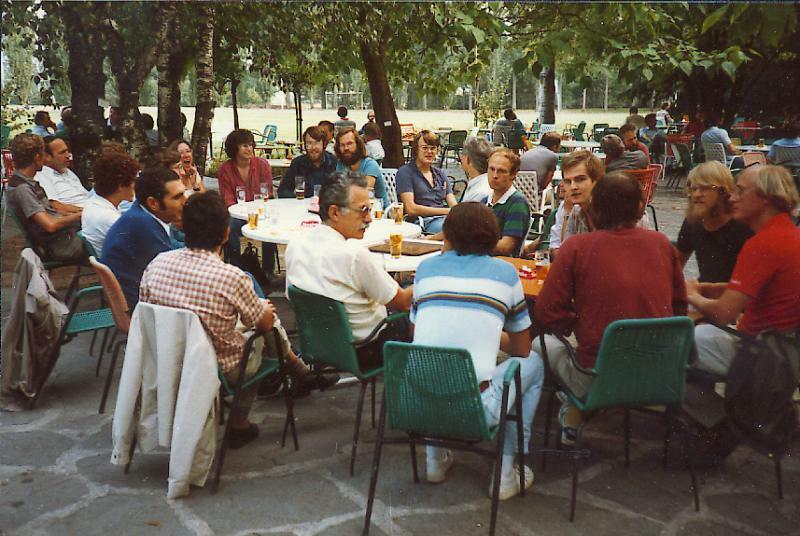 Another important event was the beer in the garden of Coop at CERN. 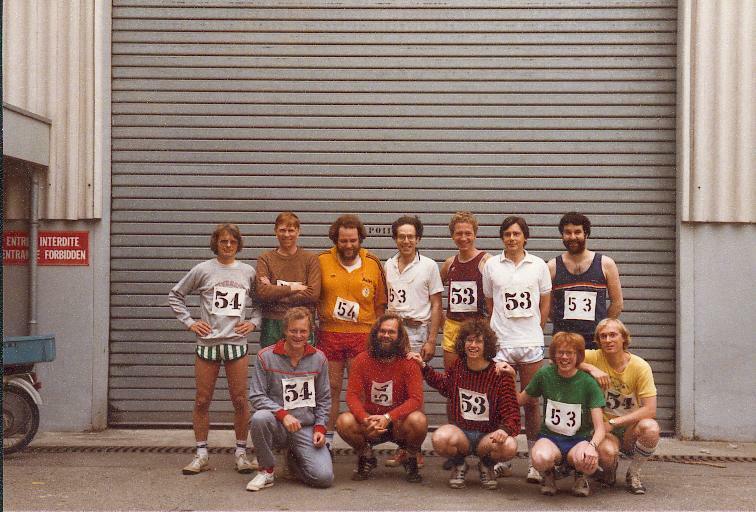 Here did more than those skiing and running participate. The target consisted of thin wires in a drift chamber, followed by silicon detectors, and a drift chamber inside a conical magnet. All surrounded by an almost 4pi uranium calorimeter (recuperated from R807). 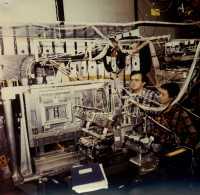 The readout system was controlled from a VAX 750 (seen in the background). Monitoring was done on a micro VAX, bought by Lund and later reused in DELPHI. Here is one testing cables for the readout system. 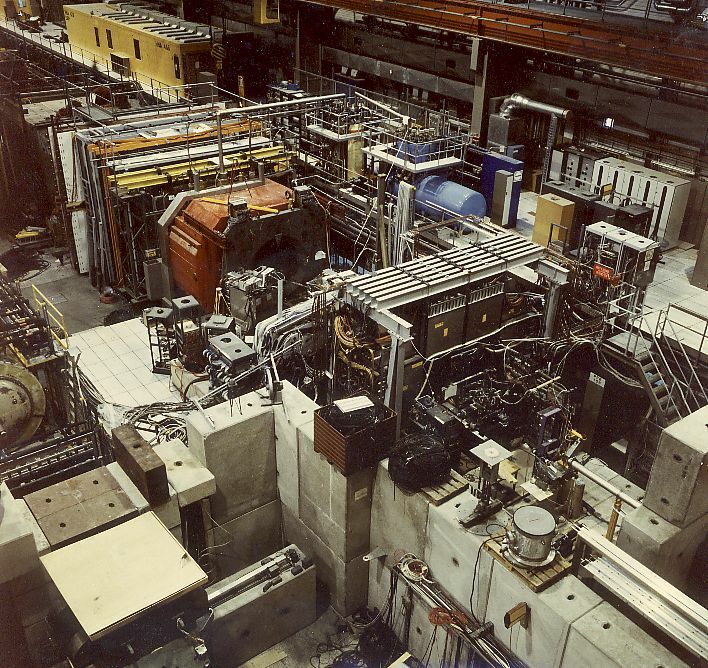 The experiment was situated in the northeast part of the north hall. 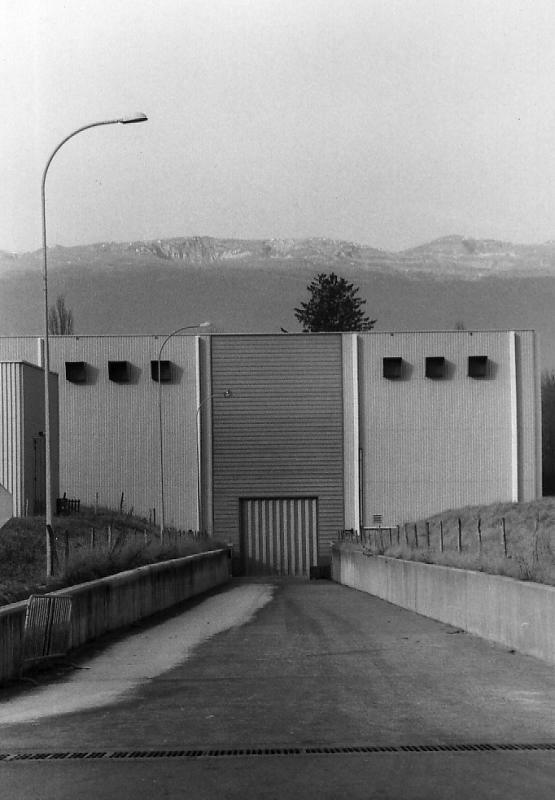 Behind the hall is the Jura mountains seen. 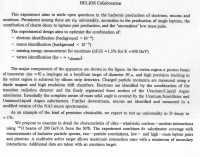 Overview of the experiment. The beam enters front the right. 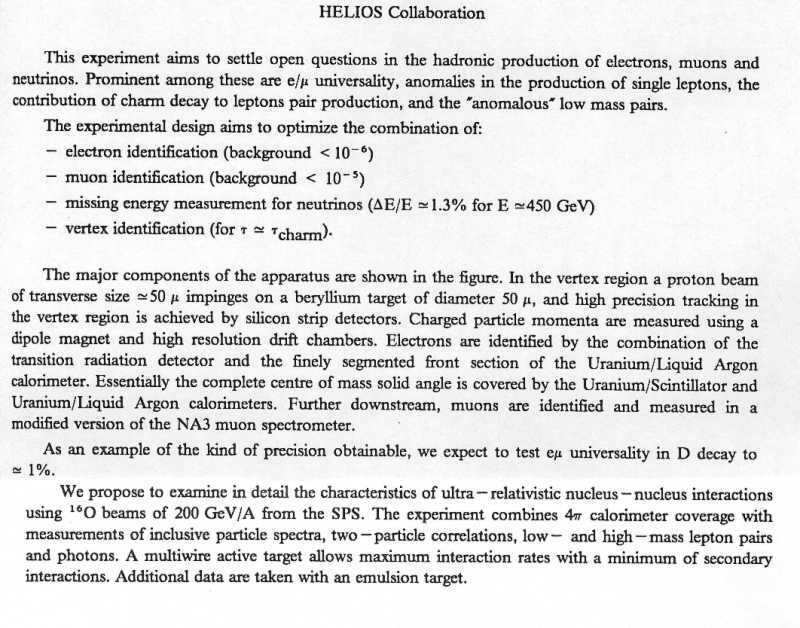 Behind the target region is a Transition Radiation Detector, Liquid argon Calorimeter, more uranium calorimeter, and finally the muon spectrometer with a large magnet. In the upper left corner is the barrack for the control room. 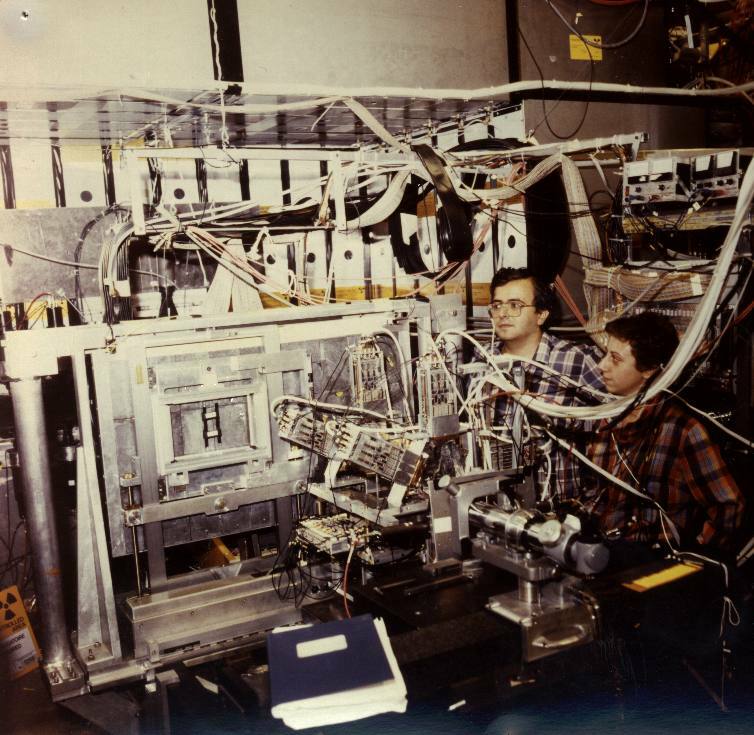 The Central Data Acquisition consisted of VME crates, from which data was read in parallell from the CAMAC based front end electronics. 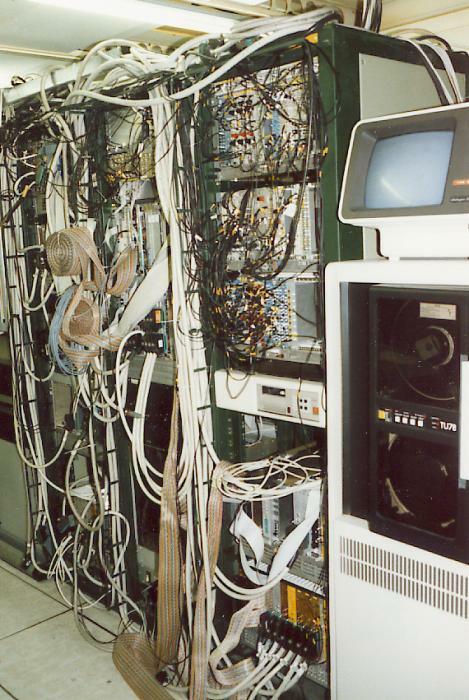 Data was stored in memory during the four second SPS burst and written to tape inbetween bursts.